As regular readers are well aware, recoveries under the federal False Claims Act have, for the last four years, been record-breaking. In FY 2012, nearly $5 billion (to be exact, it was $4.959 billion) was recovered in settlements and judgments under the False Claims Act, which set a new record. Mind you, the previous record — $3.2 billion — was exactly one year old, having been set in 2012 for recoveries in FY 2011. And this is just the federal portion of the money. Those states that have enacted appropriate state false claims legislation have also recovered record-breaking amounts. So the question arises — how do states with state false claims acts actually use the money they recover? This is real money by any stretch of the imagination, and there will be no shortage of state officials lining up to claim some of the money for thier agency…and that is true even in a good economy with booming tax revenues. In a bad economy like the current one, there is three or four times the demand for money. Without question, then, the distribution of the money is important when it gets back to the government’s coffers. Lest money-starved state government officials kill the golden goose, it is very important that at least some of the money gets set aside to support future false claims act prosecutions. So today we will take a look, state-by-state, at how that is handled. 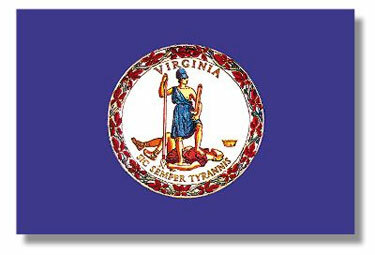 Our own Virginia Fraud Against Taxpayers Act states that “[a] person violating this section shall be liable to the Commonwealth for reasonable attorney fees and costs of a civil action brought to recover any such penalties or damages. All such fees and costs shall be paid to the Attorney General’s Office by the defendant and shall not be included in any damages or civil penalties recovered in a civil action based on a violation of this section.” See Va. Code § 801-216.3(A). This seems to me to only include the hourly rates for the lawyers of the Virginia Attorney General’s office, and I do know that for the non-MFCU prosecutions no such claim has ever been made. Back in 2008, when I brought the first non-intervened non-healthcare VFATA action and it settled for a tidy sum, one of the debates was whether to put the money in the Literary Fund (which is where most criminal fines, speeding ticket revenue, etc. goes) or whether to use it for some other purposes. As of today, that problem has still not been solved. and costs,” should the State initiate an False Claims Act suit or assume control of a qui tam action. See Fla. Stat. §§ 68.085(4) and 68.086(1). indigent Georgia residents. See Ga. Code. § 49-4-168.2(i)(1) and (2). attorneys’ fees of a civil action brought to recover the penalty or damages. See Haw. Rev. Stat. § 46-171(b)(3). Attorney General, including reasonable attorneys’ fees and costs. All such expenses, fees and costs shall be awarded against the defendant.” See Ill. Comp. the rest will go to the State’s general revenue fund. See 740 Ill. Comp. Stat. 175/8. Hospitals. See La. Rev. Stat. § 440.1.
deposited in a “False Claims Prosecution Fund.” See Mass. Gen. laws ch. 12, §§ 5H and 5I. • Michigan – Michigan has a Medicaid-only False Claims Act that states that, after restitution to Medicaid (i.e. “the state’s funding match for the medicaid fraud control unit”) is paid, the State Attorney General “may recover all costs this State incurs in the litigation and recovery of medicaid restitution under this act, including the cost of investigation and attorney fees.” Any remaining amounts “shall be deposited in the Michigan medicaid benefits trust fund.” See Mich. Comp. Laws. § 400.610b. costs, reasonable attorney fees, and the reasonable fees of expert consultants and expert witnesses.” See Minn. Stat. § 15C.12. receive any remaining funds. See Mont. Code § 17-8-410(6). legislature,” the California Attorney General can use these funds to support False Claims Act investigations and prosecutions. See Cal. Government Code § 12652(j). to use for False Claims Act investigations and prosecutions. See Nev. Rev. Stat. §§ 357.200 and 357.230.
from any civil action brought to recover the penalty or damages.” See N.H. Rev. shall be awarded reasonable attorney’s fees, expenses, and costs. All such expenses, fees, and costs shall be awarded against the defendant.” See N.J. Rev. the Treasury” that the Attorney General can draw from to support False Claims Act investigations and prosecutions. See N.J. Rev. Stat. § 2A:32C-7. general fund. See N.M. Stat. § 44-9-7. N.Y. State Finance Law § 190(7). investigating and bringing an action. See N.C. Gen. Stat. § 1-608(c). • Rhode Island – Rhode Island’s False Claims Act creates a special false claims act fund, in which all proceeds will be deposited. See R.I. Gen. Laws § 9-1.1-8.
defrauded political subdivision. See Tenn. Code § 4-18-104(g).